DJ show us what you’ve got! 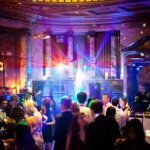 It seems simple really – a wedding DJ is just someone who stands there and facilitates a playlist. An iPod or MP3 player is a piece of equipment you already own that does exactly the same thing. One costs money, the other doesn’t. Just plug in your own player, whack on some disco lights and you’re sorted, right? Perhaps not. While saving money is always the more tempting option, we have expert wedding DJ Mark van den Berg of Mighty Fine Entertainment on hand with six things a DJ has to offer that a piece of plastic just can’t give you. A DJ will have licenses to play music in public, public liability insurance, PAT tested equipment and will know how to set up the equipment in any venue so that there are no power outages or disasters on the day. We’ve all been there – a party at a friend’s house huddled around an iPod/iPad, however when the alcohol kicks in things get pretty messy as everyone now believes they’re a DJ. That kind of situation guarantees that no song is played all the way through and that even the right songs are played at an inappropriate time. A big party needs someone to control the ebbs and flows of the night (and someone who can be impartial when it comes to drunken requests) thus a DJ trumps your poor, defenceless iPod, as he/she will bring some calm and order to the proceedings. Mighty Fine Entertainment has won “Best Wedding DJs in the UK” at the prestigious 2013 Wedding Industry Awards, by past client vote. • Mark van den Berg (aka Mark Luvdup) has been voted one of the best 25 DJs in the world, by reader vote. Mighty Fine Entertainment’s ethos is simple – ensuring couples have the wedding of their dreams. 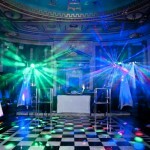 The team of expert DJs is trained to provide a party that is personal, memorable, fun and delivered just the way the bride and groom imagined. By listening intently to their couples and having a positive, can-do approach in bringing their couples’ vision to life, they ensure that the whole entertainment and production process is easy and stress-free. Mighty Fine has a consistent highly positive testimonial rate, an impeccable track record of getting everyone on their feet and is recommended by many of top venues and planners.